As the NBC piece explains, the decision belongs to the Maryland Transportation Authority. But before the MTA experiments with the toll rates, they might want to try something that could make more drivers aware of the ICC. There’s been plenty of marketing and media about the new road but one thing that could send even more drivers onto the road would be if GPS systems suggested it as a quicker route. A 10 mile section of the ICC that begins at I-95 near Laurel, crosses Route 29 and connects with the oldest portion of the toll road near Olney, does not show up in Magellan my GPS system, even after downloading the latest map update last week. When I enter in “BWI Airport” as my desired destination, for example, before leaving my home in the Rockville/North Potomac area, my GPS suggests I take 270 to 495 to 95, as if the ICC doesn’t even exist. Yet this faster route has been open for nearly a year now. Perhaps the tolls are too steep to attract some drivers. But getting the road recognized by navigation devices that seem to be showing up on more and more dashboards might be something to try first, before adjusting rates. If anyone has experienced anything involving the ICC and other GPS systems, or with a Magellan like I have, please add a comment below. 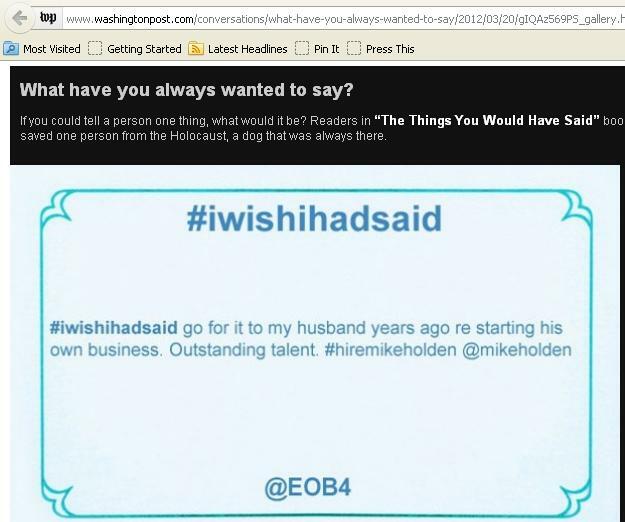 The #hiremikeholden hashtag made it onto washingtonpost.com, thanks to my fantastic wife! The Post wished good luck on Twitter too, after I tweeted the image below. Thanks to them and everyone else who has been spreading the word about my job search and solo PR and marketing work. I appreciate it! With the new season ticket prices the Caps have announced for next season, two 400 level Caps season tickets that went for $1713 total in 2008-09 will now go for $3266 next season. That’s a 90.7% increase in 5 years. Why aren’t the Caps rewarding their plan holders a bit for their loyalty? Maybe take a year off with the price hikes? The Ravens have taken three. 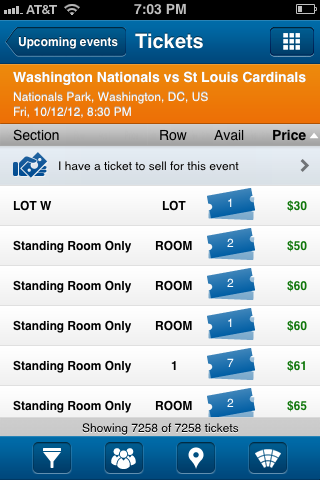 Over on BrooksLaichyear.com, the Caps blog that my brother and I just started, I took a look at Caps ticket prices on StubHub and some upcoming games that might end up being fairly inexpensive. I got five tickets in the 400 level to last Thursday’s game against the Winnipeg Jets for $8.99 each late that afternoon on StubHub. 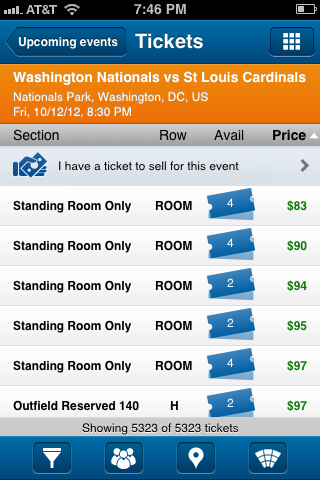 Looking at the schedule and the StubHub prices and inventory, there could be some more opportunities for Caps ticket bargains coming up. In other Caps news, for those who followed this blog for CSN/CSN+ related information, check out this post over on the DC Sports Bog, which explains that DirecTV has added CSN+ in HD. That took awhile—it’s only been 17 months since CSNWashington announced they’d start broadcasting all Caps and Wizards games in HD.